Click the Format tab then click on the first item in your section on the menu itself, so that the selection box is only around that item. 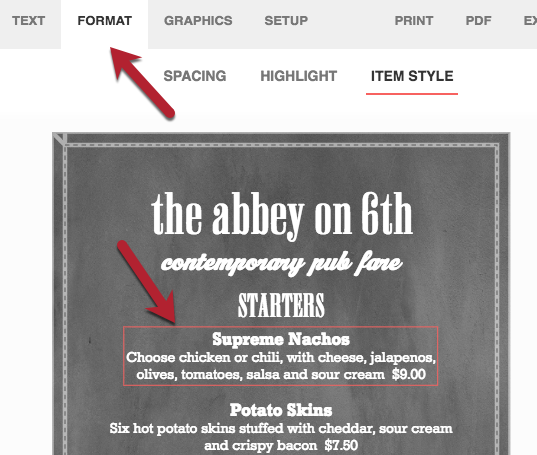 Next select Item Style to adjust the placement of prices and descriptions on your menu. After selecting a style, use apply to section or apply to all to quickly apply your changes to more items.